Our last post mentioned the 10,000-hour rule – a theory by Dr. K. Anders Ericsson, Professor of Psychology at Florida State University, and made famous by Malcolm Gladwell in his book Outliers. Well, it’s an interesting concept. In observations, becoming an expert is less about talent and more about intentional practice. So anyone should be able to become an expert at anything if they focused and worked at it enough. But up until now, it’s still really a theoretical framework. An interesting idea, and probably, mostly true. But how do you prove it? One guy is putting it to the test. 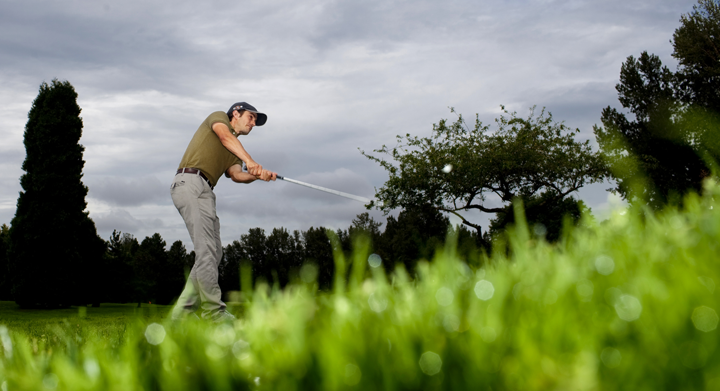 Dan McLaughlin is on a six-year path to go from a novice to professional golfer, and he’s chronicling the experiment on his website, The Dan Plan. He’s one year into his six-hour-a-day plan and documenting it all online. His team has taken an interesting approach at learning golf as well. Starting perfecting short putts and slowly working out. From what I can tell, he still isn’t playing a full round of golf. Sure, it’s still really an n=1 experiment, but it’s sure to be an interesting journey.